Llanberis: Accommodation, Attractions, Activities, Going Out, Shopping, Things to Do, Places of Interest, Outdoors, Llanberis Holidays, Llanberis Area Location, North Wales. Llanberis is one of the most popular locations in North Wales as it is home of the famous Snowdon Mountain Railway, Llyn Padarn lake with water sports, the Welsh Slate Museum, Electric Mountain, the Padarn Lake railway, excellent restaurants, pubs and shops. Snowdonia provides a wealth of attractions from the expanse and diverse landscape of the National park, the mighty castles and family friendly attractions to wild adventure sports. This is the second largest national park in Great Britain. It is a walker's paradise - from the enthusiastic mountain climbers to the leisurely ramblers. Take a trip on the Llanberis Lake Railway at the foot of Mount Snowdon. The narrow-gauge steam engines haul their trains along the shores of beautiful Padarn Lake. Enjoy the mountains of Snowdonia from viewpoints quite inaccessible by road. 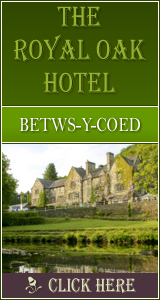 Hotel Snowdonia Tyn Rhos Country House the definative Snowdonia hotel luxury experience.